For all you TYPO3 enthusiasts out there, version 4.3 Beta has just been released hot on the tails of 4.2.9. The new version boasts new features like advanced front-end editing, system scheduler, system reports and much more. It is now in feature freeze, only bug fixes and refinements will be made until it is released. Telerik, a leading vendor of development tools and user interface components for .NET, announced the launch of their new marketplace for add-ons for its Sitefinity ASP.NET CMS. The marketplace will allow the Sitefinity community to share and sell controls, modules, themes and templates for Sitefinity. In addition, the marketplace will offer a number of free tools and resources contributed by Sitefinity MVPs and community members that are available for immediate download including Site Map control, Tab Links,What’s New control and many others. Telerik also announced a community wide call for submissions to the marketplace. Developers submitting an add-on by the end of October will be eligible to win prizes including a free Sitefinity license. Submissions can be made here. The TYPOlight website has been relaunched featuring a new shiny design and a myriad of new content. There is now a central support page, a fanpage logo that can be used if needed, the users’s and developers guides have been updated, and they’ve combined all of the possible accounts you could have on the website into one central account. Looks great guys! Yep, you heard that right. You have one more chance to partake in the EE 2.0 beta program. This will be the final round of beta testing that the program will undergo before it is declared final and released to the masses. The good news is that anyone has a chance to partake this time, not just extension/plugin developers. If you’d like a chance, check out the blog to sign up, there are a few requirements before you can submit your name. PacktPub’s 2009 Open Source CMS Award finalists have just been announced. Nominations have been going on for a couple of months now and now it’s time to vote for the finalists in each category. Finalists in the overall category are DotNetNuke, MODx, SilverStripe, WordPress, and XOOPS. Congratulations to all those CMS’s for their hard work and dedication. But be sure to vote in all of the other categories as well, including “Hall of Fame,” “Most Promising,” “Best PHP CMS,” and “Best Other CMS.” May the best CMS win! This is just a general question to everyone visiting our site. What is this site missing? Or, what would you like to see on this site? We’ve been considering different kinds of content and would like to start updating the site more often than only news bits. What kinds of articles would be interesting to you? What else would be helpful for you to choose the right CMS? Let us know in the comments! The next rendition of a major player in the CMS universe is nearing completion, Drupal 7 has reached code freeze. This basically just means that no new features will be added until the big release, and the rest of the time will be spent on testing and patching. It sounds like we’ll probably get our grubby hands on the new version before the new year for sure. If you’re like us, you may be more interested in what new features and changes this version will bring. To get up to speed, check out this powerpoint from this year’s DrupalCon Paris which lists them out nicely. Here’s a quick rundown of some minor maintenance releases by some of the CMS’s out there. CMS Made Simple 1.6.5 Poya is mostly a bug fix release, but some of them are important. Our favorite Ruby CMS came out with 0.8.1 – Luster Release, but we’ll be honest and admit that we couldn’t figure out what the changes were. TYPOlight 2.7.3 was released which fixes issues with the calendar extension. Finally, Plone 3.3.1 is out which features a performance fix, translation updates and several stability improvements. In case you missed Textpattern 4.2.0 being released, or just didn’t understand it’s significance, head on over to the Textpattern blog for a nice rundown of the whole thing, including admin themes, multi-site support, enhanced role permissions, and a ton of other goodness. It looks like a great release that makes the system easier to use for everyone involved. Yawn… Some have said that it’s vaporware, while others vehemently disagree. But everyone knows it’s getting hard to keep looking forward to something that you thought was going to come out a year ago. According to the company blog, ExpressionEngine 2.0 Beta1 is finished, but don’t get too excited, there’s still a Beta2. So far the only promises are that the new version will be out before SXSW 2010… which is in March. Movable Type is about 2 months away from releasing version 5, but for now they’re allowing you to download it for Beta testing purposes. Big changes are planned for v5 that are focused on three major feature areas: websites, cms, and other significant features. They’re own post does a far better job than we could ever do explaining the changes, so why don’t you head on over to movabletype.org for the info, it’s worth the read, and has some nice pictures to explain the whole thing! 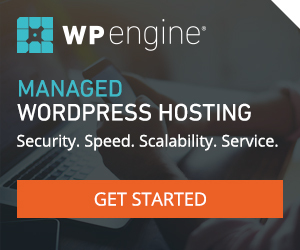 There’s been a lot of buzz on the internet lately regarding the security of WordPress and certain exploits that take advantage of older installs of the software. Even the official development blog posted a response encouraging users to keep their blogs upgraded. Lorelle has posted some information about the attacks that are going on against WordPress sites. In short: upgrade, just do it. Plone, in the midst of planning some larger upcoming updates to the software has released version 3.3. This release includes the ability to localize navigation, tabs, sitemaps, and searches within certain folders, so you can easily develop sub-sites within your Plone installation. Check out the Lineage add-on that makes use of these new features. For the full list of updates, check out the original post. Everybody has to clean up some code some time or another, minor releases are most CMS’s way to doing this. Ready? WordPress 2.8.4 is a security release, CMS Made Simple 1.6.4 “Moindou” fixes some minor bugs. And finally SilverStripe 2.3.3 is also a bugfix that cleans up a few stray things with the latest version of PHP. It sounds like the original author of the Website Baker CMS has left the project and headed for greener pastures. But the newly founded Website Baker’s Association has picked up where they left off and just released version 2.8. This release integrates droplets, the JQuery library, allows for a skinnable backend, and you can now upload zip files to the media folder, and it will automatically unzip and list them within the CMS.